Towards the end of the PlayStation 1’s life Sony released a slim model called the PSone, or SCPH-10x. Many of these systems have PM-41 boards inside, which is what this page covers. 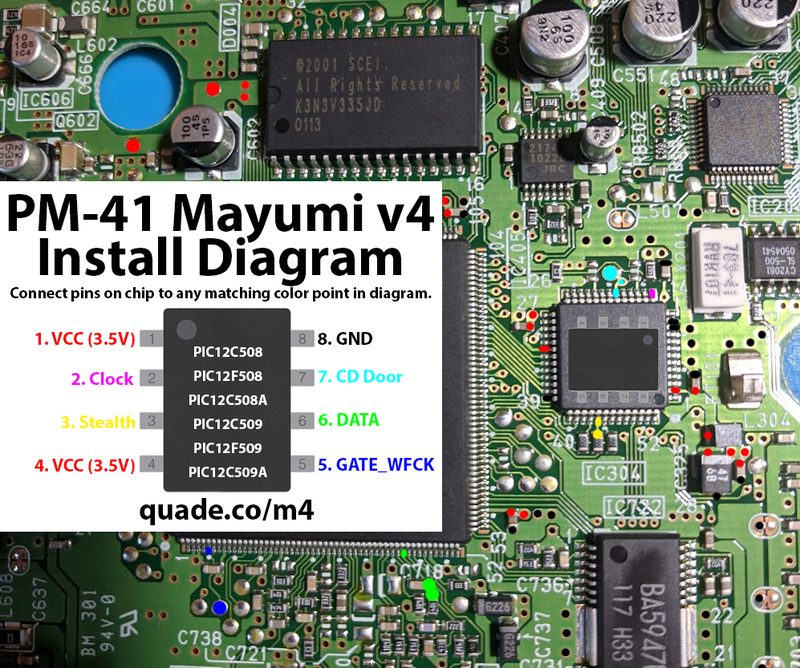 Some of the boards are PM-41 (2) and require you to use a different diagram. The model is printed on your board if you take apart your console. Above is the installation diagram. Just match each colored pin label in the diagram with any matching colored point on the board. 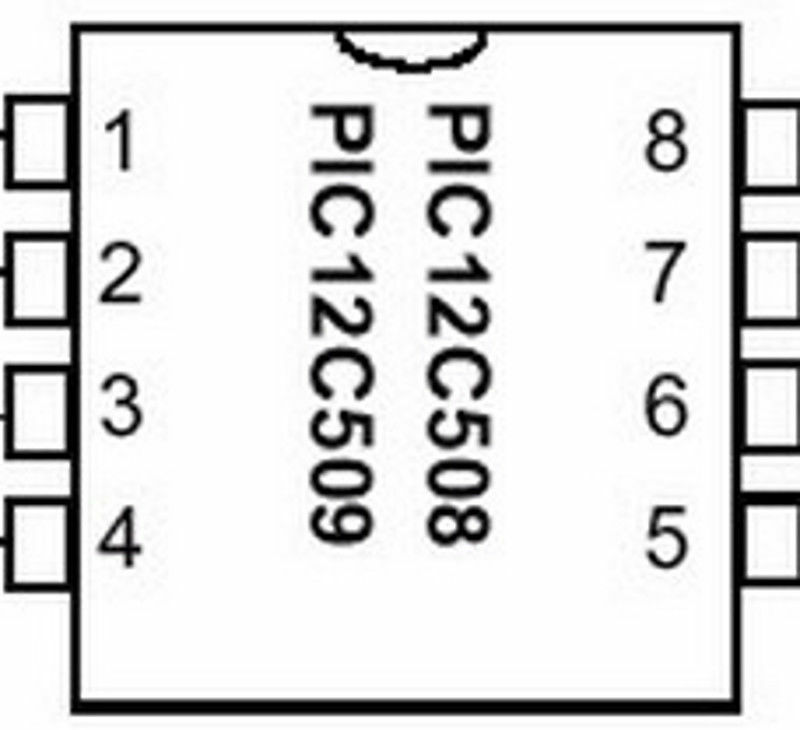 There is a second image of the chip in the diagram showing a good place to position the chip. Here are some tips I have for you when you are soldering your chip into the PM-41. Pin 3, and 6 can be tricky. Don’t push on the components with your soldering iron or they might get knocked off the board. You can use tweezers to carefully solder them back on one side at a time, the orientation doesn’t matter. Make sure the wire on pin 3 and 6 don’t come into contact with both sides of the component (this is especially common if you run the wire directly on top of the component). Don’t apply too much solder to pin 2 or you’ll bridge the pins on the chip. Placing the chip on top of the chip underneath pins two and seven seems to be the ideal location for the chip. Yeah, I stopped selling Mayumi v4 chips because they seem to have problems a lot of times. I believe it is due to the second pin (the one used for the Mayumi’s clock) is picking up some noise before it gets to the chip and is messing up the timing. MM3’s don’t have this problem.